In praise of the eight-episode TV season. 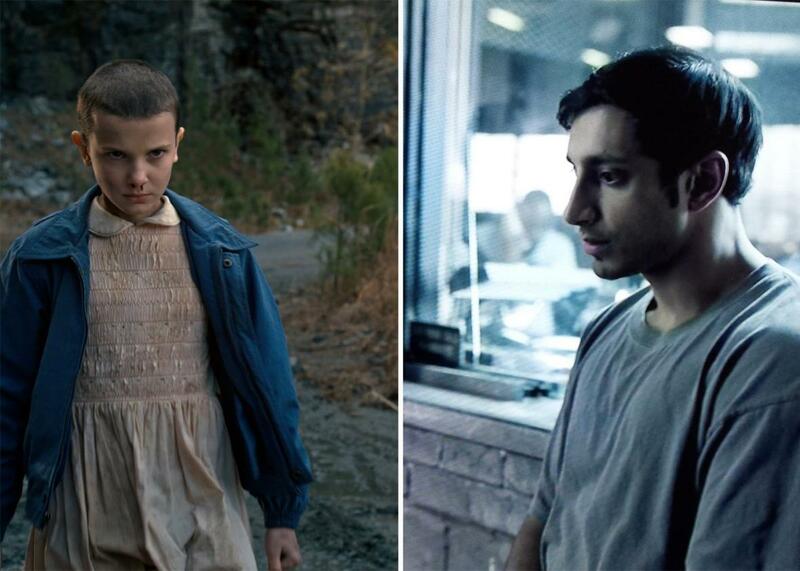 Stills from Stranger Things and The Night Of. Netflix’s binge-watching model allows creators to think of a season as a single entity rather than a series of small ones, but being relieved of a weekly series’ obligation to hook viewers from the start and keep them hooked has resulted in a lot of slack and shapeless seasons. Netflix may be changing the way people watch TV, but the structures of TV production still require that shows be pieced out in regulation-size chunks of 45 to 60 minutes, each with their own opening and closing credits, not to mention their own writers and directors, and that their seasons run for 13 episodes, which is a standard network TV order. (Networks have usually placed a separate order for the “back nine,” bringing a season to 22 episodes in total.) Thirteen episodes still seems like a “real” TV show, which is what Netflix needs to keep their subscribers feeling like they’re getting their money’s worth. They might shun the 22 episodes of a full network season, but in general, longer is better. The creators of Making a Murderer pitched Netflix an eight-hour true crime series: Netflix asked them for 10. Stranger Things, which was created by brothers Matt and Ross Duffer, bucks the bloated TV trend, and it’s a stronger series for it. The show is built around the slowly unraveling mystery of a child’s disappearance, and eight episodes turns out to be the perfect length to stretch out the investigation without it feeling distended and without needing to introduce superfluous obstacles in order to retard the heroes’ progress. A few elements, like a love triangle between high school students, feel shortchanged, but that’s far preferable to the alternative course charted by a show like Lost, where it took so long to get to the final reveal that no answer could have satisfied all the pent-up anticipation. The Duffers leave a few strings dangling, enough to pick up in a second season (or more), but for the most part, they tell a complete story with a beginning, a middle, and an end, and not too much filler between them. HBO’s The Night Of comes to its eight-episode length from the opposite direction: While the Duffers’ tale of covert conspiracy could sprawl endlessly, The Night Of’s Steven Zaillian and Richard Price are dealing with a straightforward murder investigation, one that, based on the seven episodes HBO made available in advance, contains roughly about as much plot as an average episode of Law and Order. But plot isn’t what drives The Night Of, which moves at a pace that can kindly be described as leisurely. Instead, we marinate, following a defense attorney as he struggles with chronic eczema; a detective as he slowly builds his case; and the suspect, a Pakistani American student named Naz (Riz Ahmed), as he learns to survive in prison. Although there’s doubt about whether Naz committed the crime in question—he claims not to remember but was caught with the murder weapon, his hands covered in blood—uncovering the truth isn’t at a premium here, because, as Naz’s lawyer explains to him early on, in the legal system, the truth doesn’t matter. It’s just an impediment to crafting a story that a jury can believe. There’s been, if not a groundswell in eight-episode seasons in recent years, at least a pleasingly consistent number of them (Broadchurch, True Detective, the forthcoming Dirk Gently’s Holistic Detective Agency), which indicates the TV industry is taking further steps toward smashing its prefab forms and asking how long is enough to tell a given story and how long is too long. As long as sales to foreign territories where shows that are streaming-only in the U.S. air on regular TV are an important factor, the medium won’t be able to shake off the episodic format for good. But someday we’ll have shows that consist of 40 six-minute episodes and others that run three episodes of three hours apiece, and TV will be much stronger for it.